Sometimes less really is more. 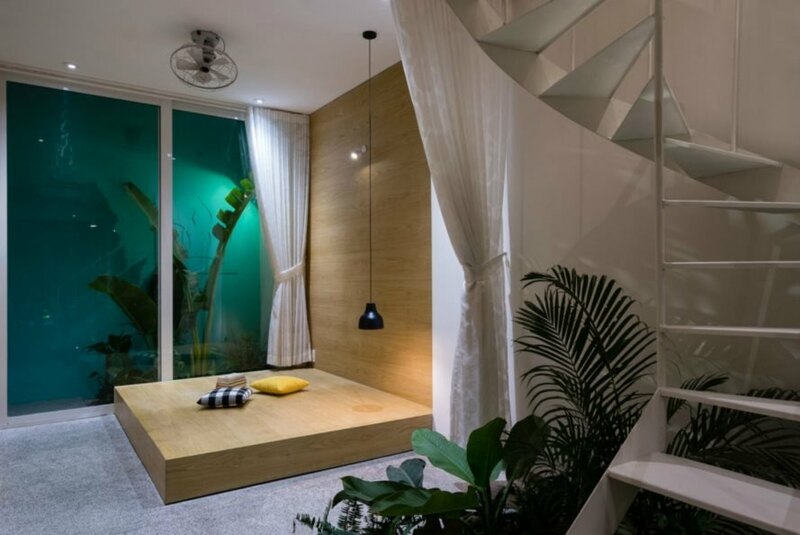 This beautiful glowing home by H.a Architects was inspired by just one thing – lush greenery. 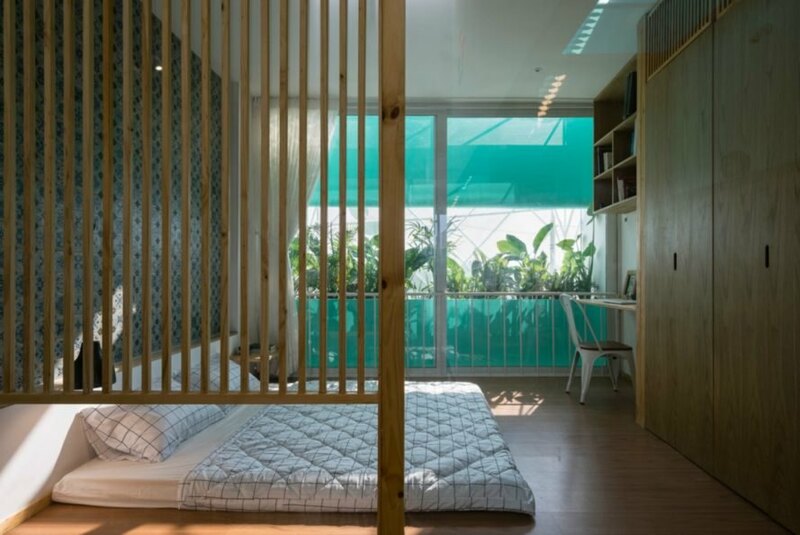 Located in Ho Chi Minh City, the Less Home is clad in perforated white metal that lets in optimal natural light for the abundant vegetation that weaves throughout the interior. The home’s two-story tower design had to be strategic to make the most out of the small plot of land where the building stands. The compact space, which currently houses a family of seven, led the architects to create a flexible interior layout. Composed of various moveable partitions, the system allows the family to customize different layouts throughout the lifetime of the home. On the interior, the design is minimalist in terms of furniture and decoration, instead using lush vegetation as the foremost design feature. Inspired by the surrounding tropical environment, the designers wanted to pull the exterior inside as much as possible. As a result, various trees and garden pockets are distributed throughout the home, creating a healthy, vibrant greenhouse feel. 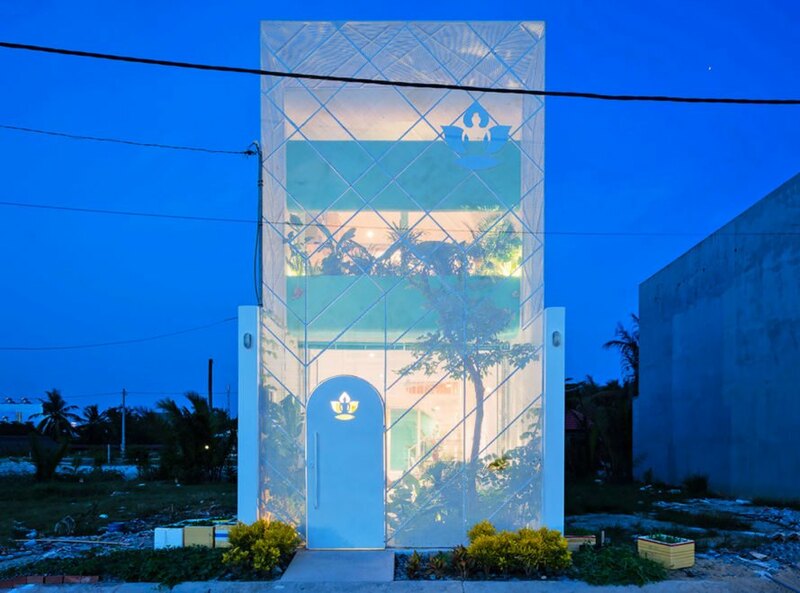 The home’s perforated white cladding helps feed the vegetation, which in return, provides clean breathing environment for the family, something especially important in a city known for its urban pollution. Sometimes less really is more. 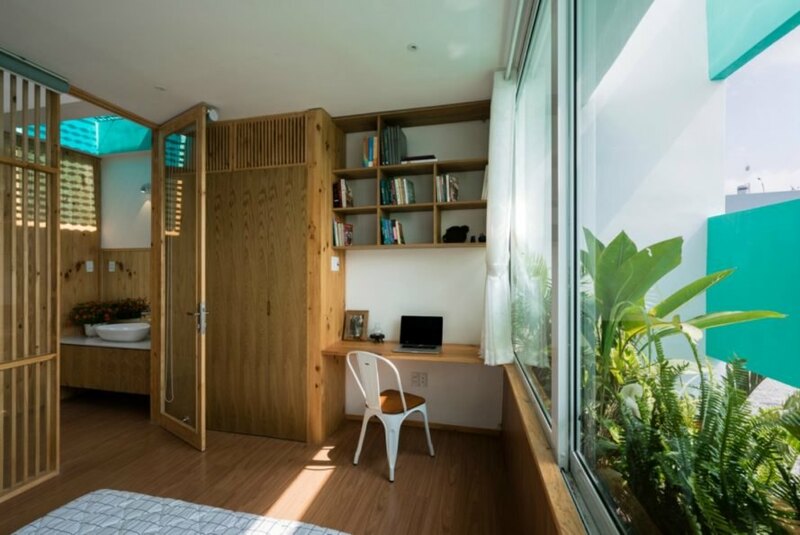 The minimalist design for this beautiful "glowing" tower by HA Architects was inspired by just one thing - lush greenery. 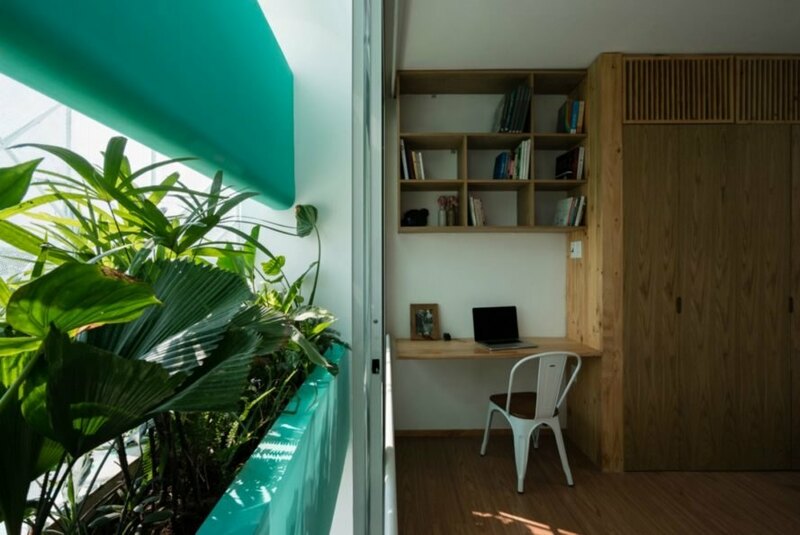 Located in Ho Chi Minh City, the exterior of the Less Home is clad in a perforated white metal that lets in optimal natural light for the abundant vegetation that weaves throughout the interior. Inspired by the surrounding tropical environment, the designers wanted to pull the exterior inside as much as possible. As a result, various trees and garden pockets are distributed throughout the home, creating a healthy, vibrant greenhouse feel. 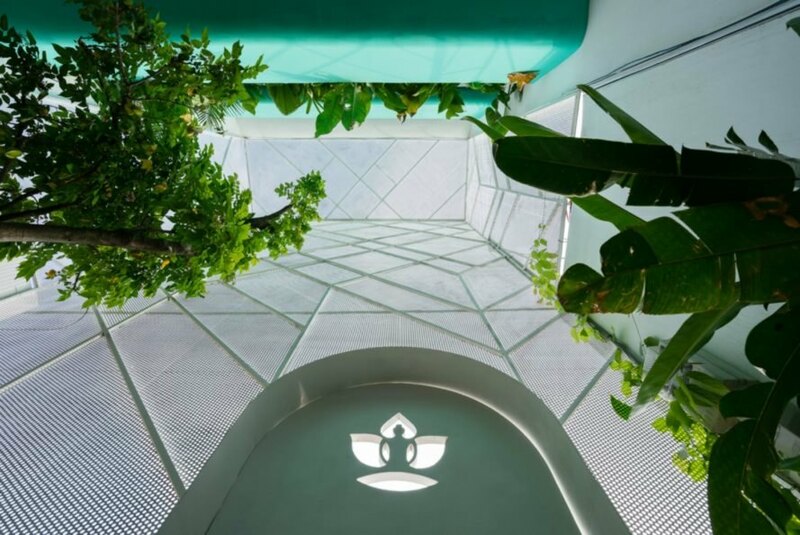 The home's perforated white cladding helps feed the vegetation, which in return, provides clean breathing environment for the family, something especially important in a city known for its urban pollution. The compact space, which currently houses a family of seven, led the architects to create a flexible interior layout. Minimalist 'glowing' LESS House by H.a Architects. The home's two-story tower design had to be strategic to make the most out of the small plot of land where the building stands. Composed of various moveable partitions, the system allows the family to customize different layouts throughout the lifetime of the home. On the interior, the design is minimalist in terms of furniture and decoration, instead using lush vegetation as the foremost design feature.